A number of events to commemorate the involvement of the 38th (Welsh) Division in the Battle of Mametz Wood 100 years ago will take place in northern France in July. 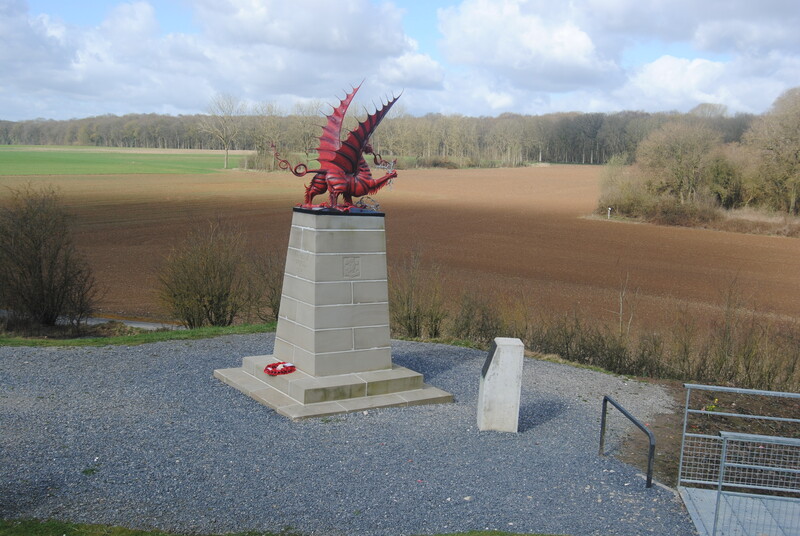 Events will begin on 7 July when a remembrance service will take place at the Welsh National Memorial in Mametz to mark the centenary of the Battle of Mametz Wood. The Welsh at Mametz Wood 1916: The National Service of Remembrance is being organised by the South Wales branch of the Western Front Association with financial assistance from the Welsh Government. This information will be checked by the local police, who will also ask to see your passport on arrival at the site. It is important to note that if you haven’t registered for the event in advance, you will not be able to gain access to the memorial service on 7 July. The information has been requested by the French authorities to ensure the safety of all those present at the event. 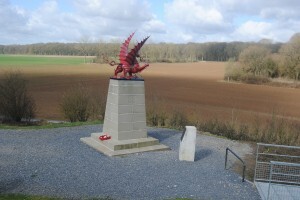 The Welsh National Memorial is located in the countryside on the outskirts of the village of Mametz in Picardy overlooking Mametz Wood where around 4,000 men died or were injured during the Battle of Mametz Wood, part of the Battle of the Somme, one of the largest battles of the First World War. The memorial commemorates the fallen of the 38th (Welsh) Division. 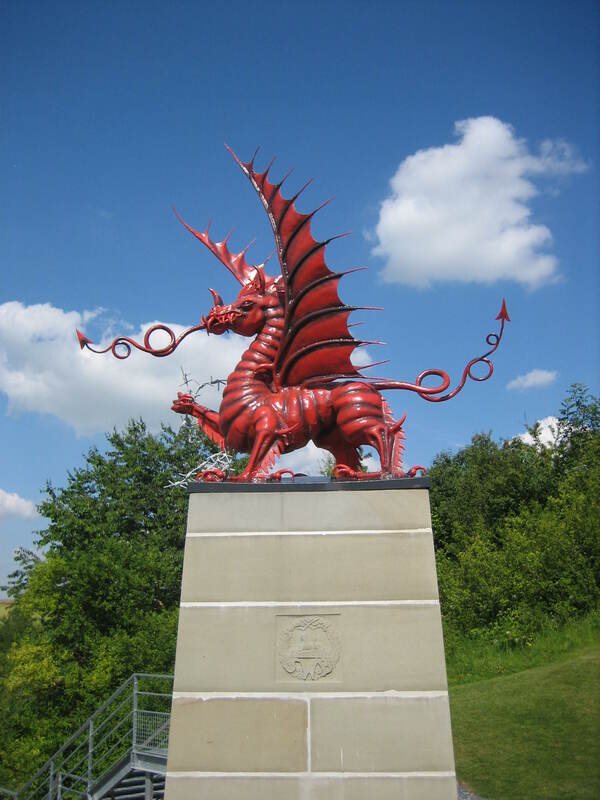 Phil Davies, Secretary of the Western Front Association said: “This will be a solemn and moving occasion to mark the centenary of the Battle of Mametz Wood, where the 38th (Welsh) Division were involved and it will be an opportunity to remember all those who lost their lives. Other events planned include a concert by the Treorchy Male Voice Choir at the Basilica of Notre-Dame de Brebières in the nearby town of Albert and other services of remembrance at other cemeteries where a number of Welsh soldiers are buried. Please note that Mametz Wood is situated on private land and it will not be possible to enter the woods.